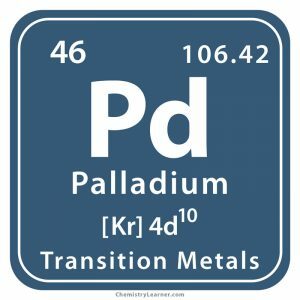 Palladium (pronunciation peh-LAY-dee-em ), represented by the chemical symbol or formula Pd , is a rare, lustrous element belonging to the family of transition metals . Naturally occurring Pd is a mixture of 6 stable isotopes with mass numbers 102, 104, 105, 106, 108 and 110 [1, 3]. Besides that, it has 33 synthetic, radioactive isotopes with known half-lives . Heating the metal with oxygen results in the formation of its oxide. It reacts with chlorine and fluorine when it is hot. It doesn’t react with most acids under normal conditions but does so when the acids are hot [4, 5]. 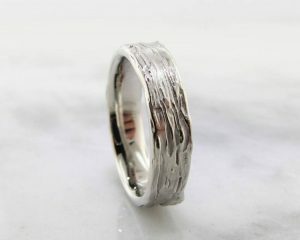 The metal can be found in its uncombined state in nature, in Brazil. 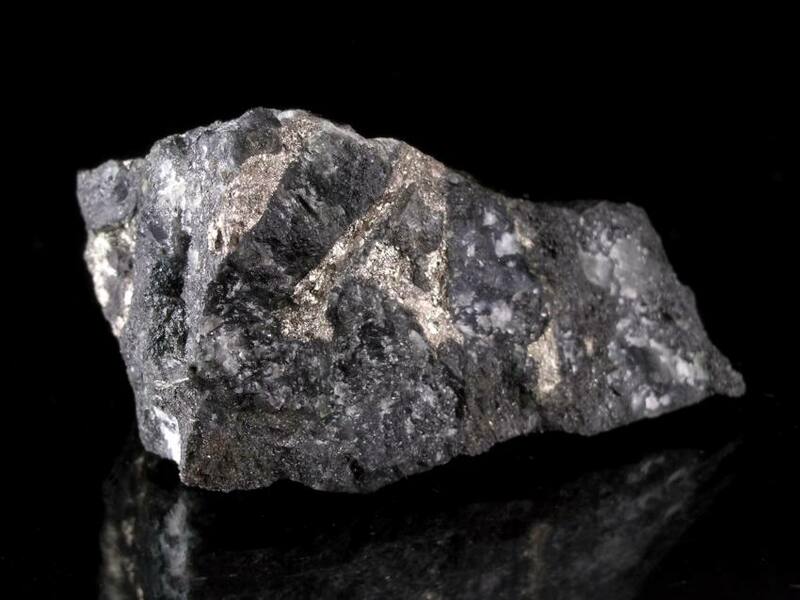 Otherwise, it is mostly found in sulfide minerals like braggite . Origin of Its Name: It is named after the asteroid Pallas that is in turn named after the Greek Goddess of wisdom of the same name . 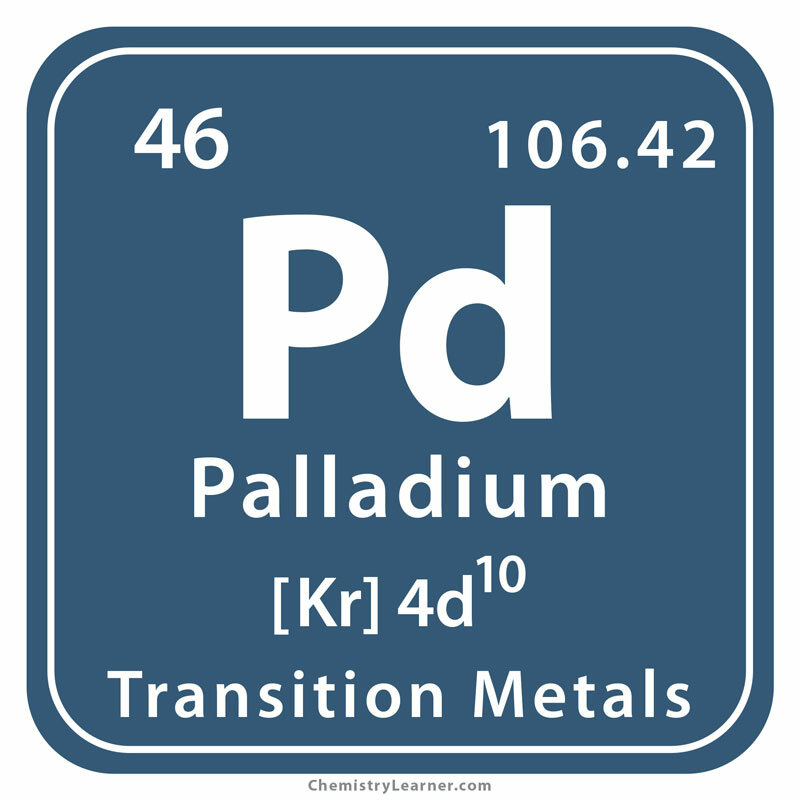 Who Discovered Palladium: English chemist, William Hyde Wollaston [1, 2]. When Was It Discovered: Its discovery year is 1803 . 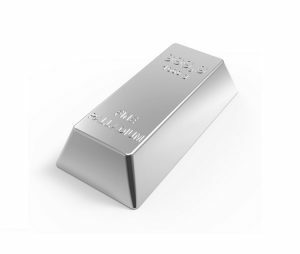 Wollaston extracted the metal from platinum in 1803. He observed that when he added ordinary platinum to aqua regia (nitric acid+hydrochloric acid), not all of it dissolved. 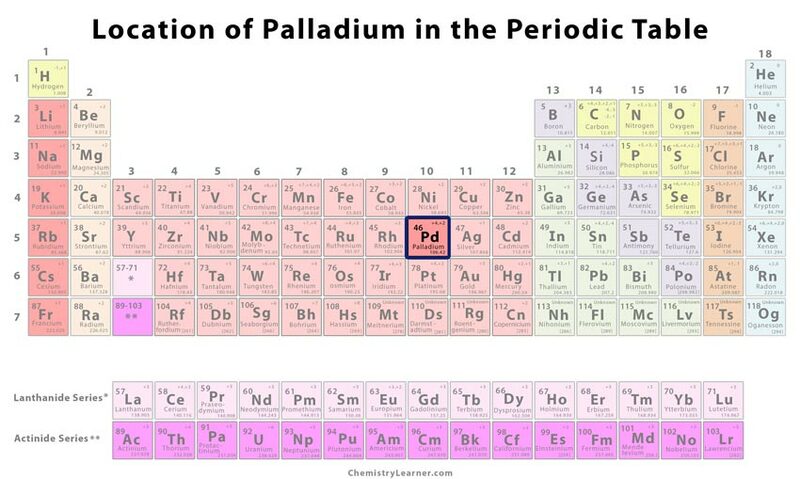 It left behind a residue from which he eventually isolated palladium. He kept his discovery a secret and sold it as a ‘new silver’. In February 1805, he announced himself as the discoverer and gave a full and convincing account of the new element and its properties . In catalytic converters of cars . In dental crowns and fillings. In jewelry. White gold used in ornaments is actually gold that has been made white by alloying it with palladium or another metal . It finds application in the electronics industry in making ceramic capacitors that form a part of laptops and mobile phones . Finely divided palladium being a good catalyst finds application in hydrogenation and dehydrogenation reactions . 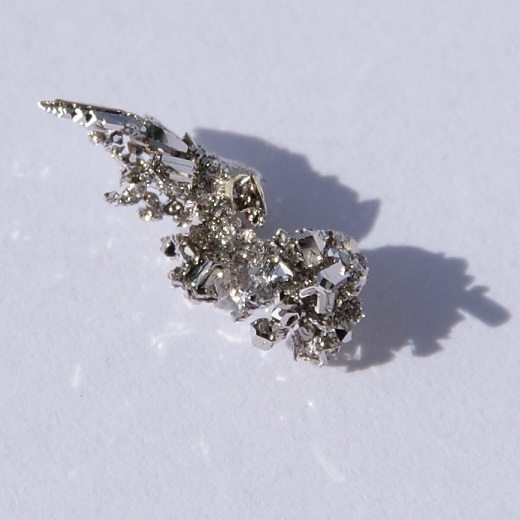 Palladium is a non-toxic element. It has no biological role . Palladium doesn’t tarnish in air normally but does so slightly in moist air containing sulfur . It can absorb up to 900 times its own volume of hydrogen. As it does so, it expands visibly just like a sponge swelling upon absorbing water . 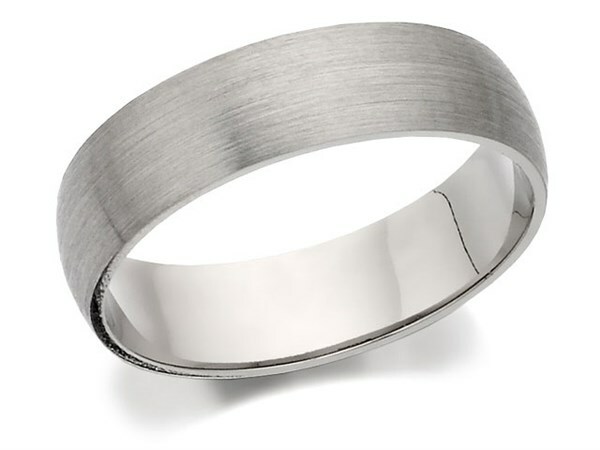 The pure metal is priced at $5833 for every 100 gram and in bulk, the same quantity costs $1571 .